after now 3 seasons of ISW with HBS Battletech, it is time to gather some info. This is important, to decide the future direction of ISW and to give me some insights about player desires. So if you would be so kind, please fill the little survey below. Here we go. The 4th season of ISW is starting and five factions battle for supremacy. Of course, right now all factions still have plenty of room for new members, given the fact, that the big multiplayer bug was fixed just recently by HBS. So if you ever wanted to know what it would be like to plan the grand wars of the Inner Sphere and to fight them against your fellow HBS Battletech players, here is your very chance to do so! The Season will last until August 15th, when we will enter summer break. Season V will most likely start October 1st. The Lyran Commonwealth and the Federated Suns have been merged into the Federated Commonwealth. The Draconis Combine as set free the Free Raselhaague Republic. Will the Federated Commonwealth crumble under it’s own weight? Will the Samurai of the Draconis Combine accept Theodore Kuritas decision to release the Raselhaague district to autonomy? Will the FRR survive between the major powers surrounding it? We all know the history as it is written in Battletech Lore. Here you have the opportunity to write your own piece of Battletech history. In order to play in season IV, you need to create an account on this page. Also you need to visit our Discord server and sign up, using the provided doc in season 4 sign up channel on Discord. There will be no distinct units in a factionat season start, just one of which the CO will also be faction lead. CO positions will be given by faction internal vote and approved by Admin. Defeated factions will join ranks of the faction that defeated them. If more than one, distribution will be decided by admin. Nr. 5 also accounts for rigged fights. If administration gets proof, all responsible players of those factions will be deleted from ISW command database. Every user has a start up value of 2 “Battle-Tickets”. For each drop, a ticket is consumed and all other members of that faction receive a new ticket. This ensures, that all players can participate and a single player cannot carry the whole faction. Planetary Conquest is changed into 3 single fights with rising BV Limit. Each Fight earns the attacker 1 sector if won. Still, all 3 fights need to be done within the 7 days window, as usual. Sabotage is a single fight again but will not destroy factories any more. Factories are out of production for up to 12 days, after a successful sabotage run. We have finished season 3 with the Draconis Combine being the overall Victor now we will go for the start of the Marik civil war campaign. I have created the battling factions and have stationed light lances for each participating unit on each planet. Please don’t forget to contact me and nominate your faction lead person until tonight 2200 server time. as you know, from mid December to end of January, there is often a lull in players activity. Holidays, vacation etc. during the years, there are a lot of things more important than gaming leagues. Still, a lot of us want our fix of PvP Battletech during that time too. We will fight a small scale season in a Marik civil war theme with just 4 factions, with one unit each. In order to participate, you need an account on the leagues website, join up our Discord and enter your desired faction in this document. Season 3 will conclude on Nov. 17th. After that, we will implement some new features and check how and if we can include Flashpoint content in season 4 already. Season 4 will then start presumably mid December. Or January 2019. 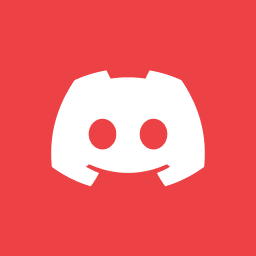 I have added some Discord widget to the page. So if you are recruiting new players, just point them to the league page, they will now find their way to Discord from there. I hope this will show visitors on the page, how active this project is and will help people to find us. For now, thank you all for the good times we enjoy right now with season 3. I am confident, we have reached an ruleset and implentation level now, that produces good matches most of the time and provides fun and context for our HBS Battletech games. And here we go! Season 3 is on! Season 3 is active, good luck and have fun everyone! I hope you will do fine and have a good time! With the Inner Sphere Houses sign up almost completed and only one Draconis Combine slot to be filled, I am launching the Periphery and Mercenary sign ups. You can sign up on our Discord int he #season-3-signup-periphery-and-mercs channel. The sign ups for our next season are open on our Discord now. Once you have registered an account on the league page here and joined our Discord, You can sign up in the “season-3-signup-houses” channel. Sign ups for Periphery and Mercenary units will be opened, once the main factions are filled. Each unit needs at least an CO ( Commanding Officer ) and an XO ( Executive Officer ). Member management beyond those two needed staff personnel, is done by the units after next seasons launch through the units roster page, inside command tool. If you are new and interested in ISW, read here, what this is all about. Support Inner Sphere Wars on Patreon!